There is no junction here today. 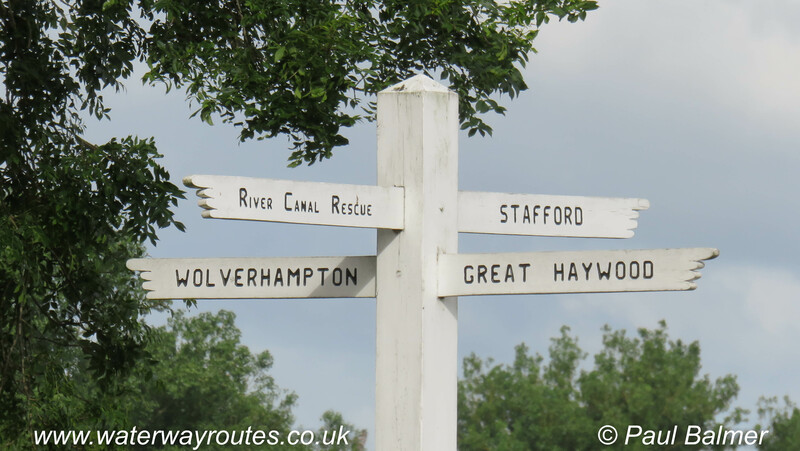 The River Sow used to be navigable into Stafford and restoration is proposed to create the Stafford Riverway Link. The sign is sponsored by River Canal Rescue, whose headquarters is nearby.